Build in the early 1980s, this popular town square is a hub for commerce and the fourth-largest plaza of its kind in the world. Impressive monuments line the pedestrian zone, including Faro del Comercio, which shoots green laser lights into the city sky each night. Visitors to the plaza can wander the halls of the Palacio de Gobierno, where local government offices are located, or explore the Biblioteca Fray Servando Teresa de Mier—the city’s iconic public library. 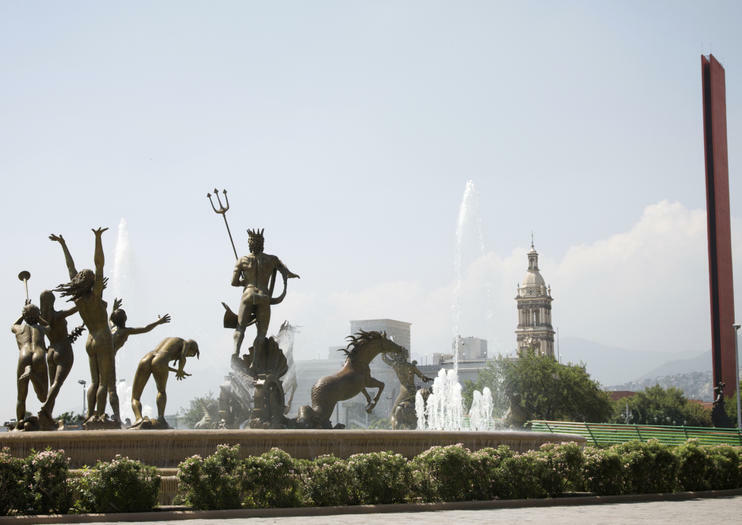 Visitors can escape the noise of the city in nearby Jardin Hundido—located at the center of Macroplaza—where quiet fountains and well-kept gardens provide a true urban oasis. Beleef het centrum van Monterrey, wetende wat de belangrijkste bezienswaardigheden zijn, de geschiedenis ervan, te beginnen met de koloniale bisschop. Geniet van je reis!